“A sound that fuses reggae, rock, and dancehall delivered through celestial realms” – words rather big to describe one's music but reasonable in case of Jamaican band SkyGrass. Indeed it's a mixture of the genres mentioned as well as many more musical elements presented by the young Kingstonians on their self-entitled debut album. 14 tracks shift from the romantic, acoustic guitar driven, singer-songwriter style of Dusty Shoes to alienated electric guitars, abstract synths and filtered vocals on Peppa Sauce. Frankie Paul's 80s anthem Pass The Tu-Sheng Peng is given a new lease of life featuring the original veteran singer and remains thriving as ever as Pass The Kush. Rootz Underground's charismatic lead singer Stephen Newland contributes a kicking verse on Stalks and Stems, a classic old-school reggae track spiced up with organ chords and deeply delayed dub elements, while Kabaka Pyramid supports his friends of SkyGrass on the hypnotic, minimalistic Fire In My Soul, that leaves the lyrical power of the artists a wide space to shine. With Simon Samuel and Rasheed McCallum the group has a rhythm guitarist as well as a lead guitarist, who are versatile with both the acoustic and electric side and never cease to amaze presenting the diversity of their instrument. A gently drawn melody playfully introduces Pretty Na Na, before the song smoothly merges into an uplifting one-drop. The rootical lyrics are skillfully reflected by the light atmosphere of the musical arrangement. With hilarious lyrics and a positive upbeat vibe High Grade Love guarantees a smile on the faces of its listeners, when singer Simon praises his favorite being pretty like his mama's kids, and loved by students like Friday. 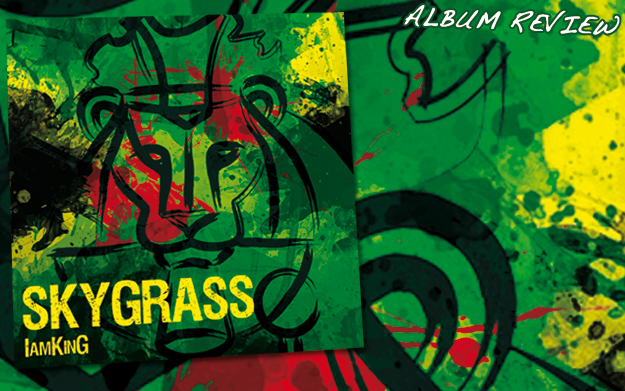 SkyGrass managed to put together a refreshingly exciting and diverse sound that is yet consistent and persuasive. The promising debut record presents musical skills as well as ear-catching lyrics with intriguing ease and contagious joy – heavenly indeed!